We like to travel free and easy and plan our itineraries on what to see and do in the destination itself. Arranging for hotels and air tickets is the easy part as there are many hotel and airfare aggregators to compare prices and book accommodation and airfare. The challenge is in finding out the best places to visit at the best price. This involves hours of Googling to find the websites of tourist attractions and shows to book tickets. This gets even more challenging when the websites are the old-school type and hard to navigate or when the website is not in English. Even when you have booked your tickets, you will have to print out each ticket and pick them up at the ticketing counter on arrival – while you are definitely in a better position than those who buy their tickets on the spot, sometimes you still have to queue just to pick up your tickets too. For day tours, that’s another ballgame altogether as we will trawl through Tripadvisor reviews to find out the best tour company to go with. Even when we found the tour company we are most confident with, sometimes the booking process is not exactly one that lends confidence e.g. when the booking can only be made via email and sometimes the tour guide does not reply emails for days. 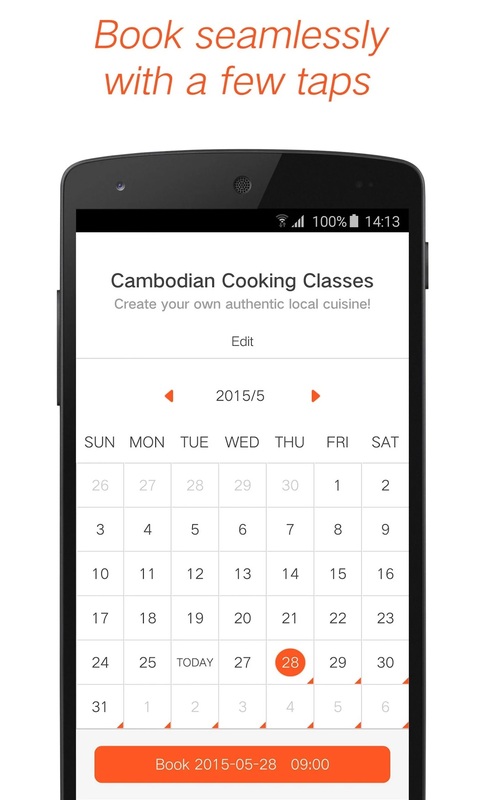 If you find all these efforts to plan for a holiday intimidating and don’t know where to start, I suggest Klook. Think of Klook, short for “Keep Looking”, as your online concierge for booking travel experiences be it day tours or just securing admission tickets for tourist attractions. [Exclusive for PassportChop readers] Sign up for Klook on klook.com or through their mobile app with this invite code Qq5Nn and you will receive HKD30 / SGD5 in credits to book your next tour experience. 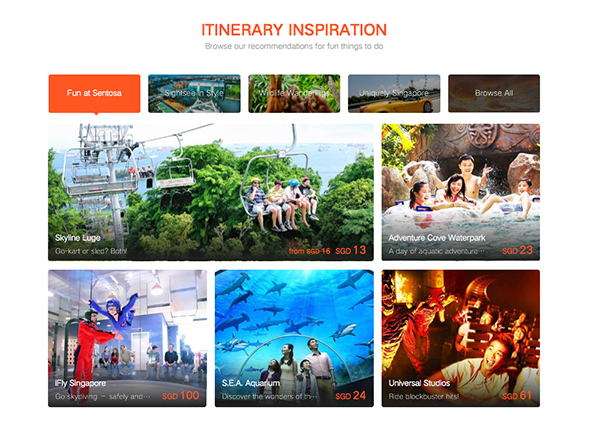 In summary, this is what you can expect when booking admission tickets with Klook – convenience of e-tickets and up to 50% off admission tickets for attractions like that of Siam Ocean World and Safari World in Bangkok and many other attractions in Asia. But there are many more very useful features of Klook’s service – read on to find out more how Klook can help you plan unique and safe travel experiences wherever you go. I was quite assured to read that Klook has a team of travel curators on the ground to carefully vet each tour operator listed on Klook. There are two layers of due diligence checks by Klook – first to work with only well-established companies with records and will not disappear overnight. Next is for their professional experts to vet every single operator that Klook partners up with, in their expedition and make sure the safety standard is being taken care of. While there are other curated travel activities operators in the market, I can’t say the same about the effort taken to do quality checks on the tours they list. What I like about Klook is how simple they have made the entire booking process in 4 taps on the Klook mobile app – tap “Book” at the page of your preferred activity -> select your preferred date -> confirm your traveller particulars -> pay and you are done! 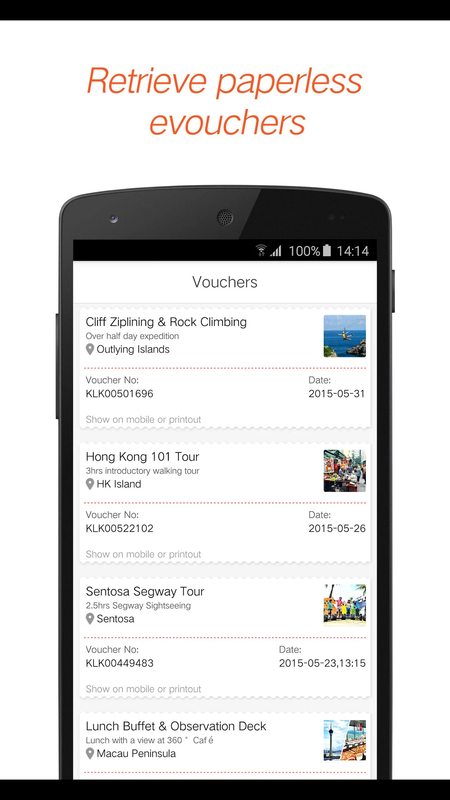 Klook offers instant ticketing to some of the most popular attractions in Asia – within a matter of seconds after booking, travellers can show up, with no more queuing up, and no more printing of vouchers as their booking have been seamlessly synced with Klook mobile app. This allows for us to make last-minute travel plans to visit an attraction without the hassle of having to queue for tickets. All attractions that have instant ticketing are clearly marked with a lightning bolt. Klook only deal with e-tickets – this means that once you have booked your tickets with Klook, you need not queue to pick up physical tickets at the attraction itself. For example, if you booked tickets to Universal Studios Singapore, all you have to do is go to the main entrance and show your e-ticket on your mobile device and you are in. No need to print all the tickets and add on to your carry-on weight or even worse – the fear of losing the printed tickets and scrambling to find a printer somewhere to print it. Although we have a few suggested itineraries uploaded on PassportChop.com, I still recommend that you check out Klook’s blog for their itineraries too e.g. a weekend in Seoul. The Klook team are quite detailed with their day by day itineraries and you might even find some travel inspiration for your trip planning too. I also like how Klook’s tours and activities are categorised e.g. For Lovers, Fun with Friends so you can filter through the right activities to plan with your travel mates. One very interesting part of Klook is some of the off the beaten track tours like this Skulls & Bones Authentic Village Tour in Bali – definitely not on many of my friends’ travel itineraries to Bali. Klook guarantees the lowest prices in the market. I did a quick comparison of Klook’s prices for a few Singapore and Hong Kong attractions like River Safari, Universal Studios Singapore, Gardens by the Bay, Disneyland Hong Kong and the prices are consistently about 10% to 20% cheaper than the official ticket pricing for these attractions. For some specific ones, discount can go up to nearly 50% off like that of Siam Ocean World and Safari World in Bangkok. 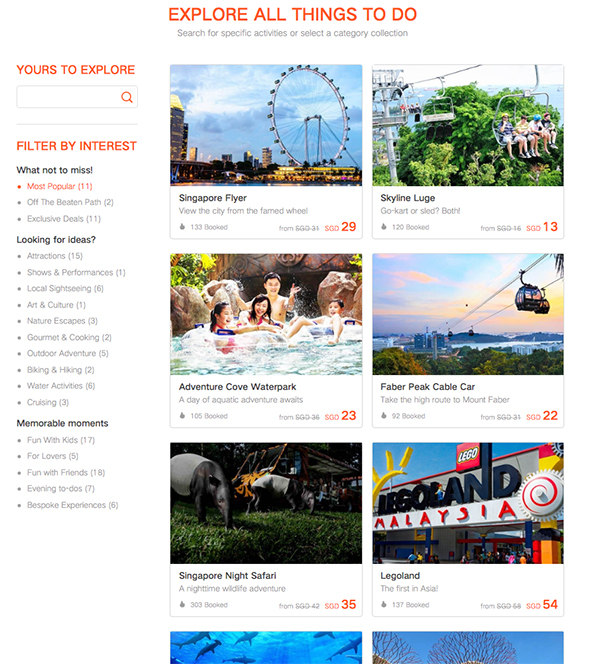 For a more detailed comparison of prices for Singapore attractions, check out this Klook blog post. 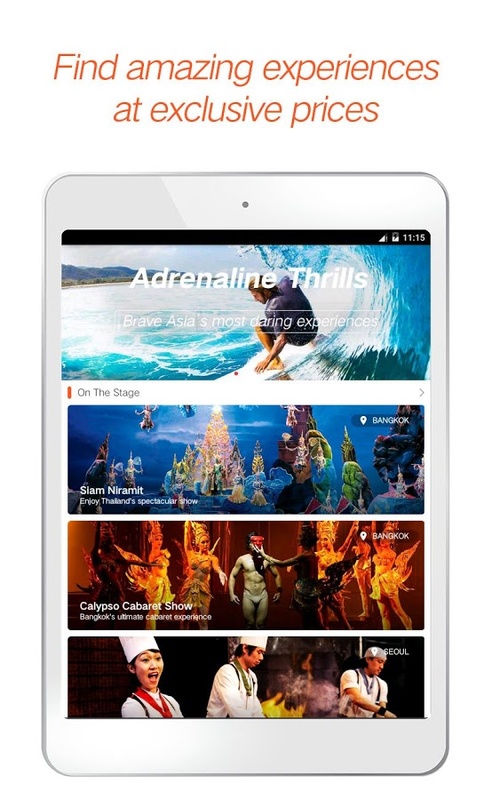 [Exclusive for PassportChop readers] Sign up for Klook on klook.com or through their mobile app with this invite code Qq5Nn and you will receive HKD30 / SGD5 in credits to book your next tour experience. Even if you have downloaded the app and signed up for a Klook account, you can still get the credits (if you had not entered any invite code before) – simply enter Qq5Nn under Mine -> Invite Friend Promotion in the Klook app. By inviting your friends to book their travel experience with Klook, they will receive HK$25 too and when they booked their first Klook experience, you will also receive HK$25! If you are familiar with how Uber invites work, it works the same with Klook too where each user will be given a unique code to invite friends. This code can be found in the Klook app under Mine -> Invite Friend Promotion. 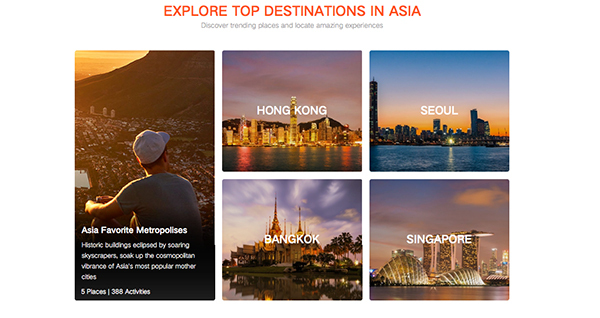 Klook currently covers tours and attractions in Hong Kong, Macau, Korea (Seoul and Jeju), Taiwan (Taipei, Hualien, Kaohsiung, Kenting and Taichung), Singapore, Thailand (Bangkok, Chiang Mai, Phuket, Koh Samui, Pattaya), Indonesia (Bali), Cambodia (Siem Reap), Nepal (Kathmandu, Pokhara), Japan (Okinawa) and Mauritius. Most of these destinations make for short getaways especially for long weekend holidays (which we still have about 5 more this year!). Klook will also be opening up tours and attractions booking for Tokyo, Osaka, and Kyoto in Japan in the next few weeks. Hi, I have a question about klook. The selected date for Tokyo Disneyland, do I have to go on that date? Because there’s no information on that. I also book the 4g sim card but it is mentioned that the date we choose is for the date we would like to receive it, but klook does not mention anything about the selected date for Disneyland, which Confuses me. You might want to email Klook directly to confirm.